Sempronius H. Boyd (Pony Boyd) was a lawyer, judge, US congressman, and the US ambassador to Siam in the 19th century. History remembers this man in two ways. Firstly, he was the judge in the Wild Bill Hickok’s trial for murder in 1865. Secondly, he was the first man who mentioned Springfield as the ‘Queen City of the Ozarks’ during his speech in honour of celebrating the centennial of the nation in 1876. Where Is Springfield Missouri And What County Is Springfield, Mo, In? The city of Springfield is the third-largest city in the state of Missouri in the United States of America, and the county seat of Greene County. Do you know how significant Springfield, Missouri is? The town was established in 1838, and since 1992, has been considered the official birthplace of the magnificent Mother Road, Route 66. If you come here at the beginning of August, you can enjoy the festival and car show dedicated to the most famous highway on the planet. Come to visit the ‘heart’ of the Ozarks Mountains and feel the unique mix of amenities typical for a big city and warm hospitality of charming, small town. If you’re trying to figure out what to see in Springfield Mo, here’s what you should visit first in this Springfield Mo visitors guide. Want to know what to do in Springfield Mo and which places to see in Springfield Mo? Here’s a list of 6 fascinating Springfield Mo attractions that first-time visitors can’t miss. Do you know that Fantastic Caverns, an otherworldly attraction located 10 miles (16 km) northwest of Springfield, are the only caves in the whole North America which you can entirely ride through? The caves in Springfield Missouri were made in ancient times when a river carved a path you can travel down nowadays. Since John Knox discovered this place in 1862, while was walking around with his hunting dog, it has become a favoured destination for numerous explorers and even the music venue in the 50s. Just take a seat in one of the Jeep-drawn trams and enjoy a spectacular 55-minute tour of the caves. Admire stalagmites rising from the floor and stalactites hanging from the ceiling at the constant temperature of 60 F (15.5 C). Keep in mind that the cave is closed on Christmas Eve, Christmas Day, and Thanksgiving Day. 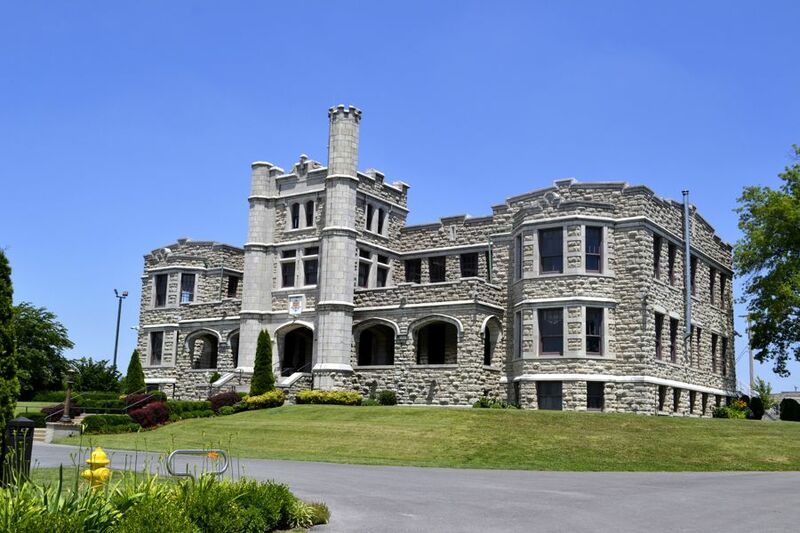 If you’re interested in Springfield Mo history, you must visit the Pythian Castle, a 0.9-acres (0.36 ha) large fortress that is considered the home of Missouri. As the “Ghosts of the Pythian Castle” episode by the Paranormal Task Force in Springfield, Missouri, notes, this monstrous limestone castle has stood tall for the last 100 years. Knights of Pythias (an international fraternal order) built this place in 1913, having a plan to make an orphanage and retirement home for the members of their families. In 1942 it was commandeered by the US military and was a prison. Within these walls lie a theatre, a ballroom, a bowling alley, a dungeon and even an interrogation room used for Nazi prisoners and other enemy soldiers during WWII that many are probably unaware of. It was renamed the “Enlisted Men’s Service Club” and later became a hospital for recovering injured war veterans. It served as a general hospital to help rehabilitate injured America troops during World War II. This recognizable ominous building takes place on two lists, on the US National Register of Historic Places and an unofficial list of haunted castles. Nowadays, it is a private property where you can come to catch a feel of ghost-tour, dungeon-tour, creepy murder-mystery-tour, and historical-tour as well. They also organize private and holiday events, theatre performances, and weddings. Grab the opportunity and enjoy this unique venue no matter if you believe in ghosts or not. The Springfield Art Museum is the oldest cultural institution in this town. It was founded in 1926 when a few women decided that their beloved town deserves such a place. They wanted to educate new generations and to teach and inspire citizens to appreciate art. Nowadays, this fantastic museum has more than 10,000 pieces of art in its permanent collection from different cultures and periods. They even have a YouTube channel where they showcase the artwork. In Season 10, Episode 19 of The Simpsons, aired on April 11, 1999, Homer and Marge visit the Springfield Art Museum. Some of my favourites are the Art of American water media, but you can also admire the Art of the Midwest and European pottery, for example. Moreover, this inspiring place often hosts travelling and rotating exhibitions. When you visit this museum, you’ll even get a bonus in the form of the fascinating Outdoor Dr Seuss Memorial Sculpture Garden that is definitely worth exploring. Opened in 2002 as the Dr Seuss National Memorial, this place contains thirty bronze statues you will adore. Come here to spend a memorable day with your kids. We learned about the Battle of Springfield, a Civil War battle that took place in downtown Springfield, Mo. in 1863, and now you have the opportunity to visit this place. It was an extremely rare battle type during the American Civil War when the Union Forces tried to defend the town from the Confederate army by urban, house-to-house fighting. Come and experience your own history by following twelve markers positioned around the battleground. In this virtual tour narrated by David Burton, you’ll learn the key portions of this important battle and take a tour of the 12 markers noting significant parts of the Battle of Springfield. You will see spots where the defence’s troops were stationed, the places where were the houses that the southern army burned down, and the right location of gathered supplies. This clip from Season 13 Episode 19 of The Simpsons, titled “The Sweetest Apu”, shows a Springfield Civil War Reenactment. 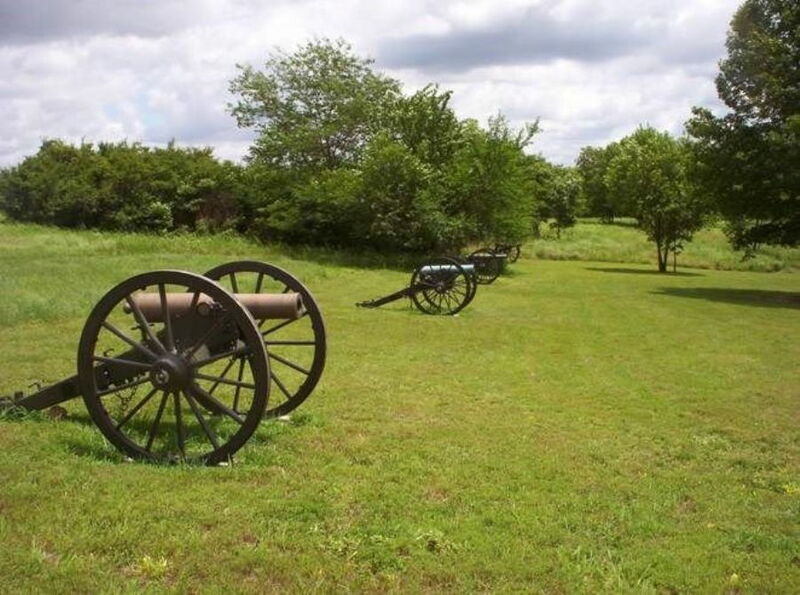 Wilson’s Creek National Battlefield was the site of the famous battle fought on August 10, 1861. It was the first major American Civil War engagement west of the Mississippi River. During that battle, the Union general Nathaniel Lyon was killed, as the first high officer who lost his life in the Civil War. The video below shows Wilson’s Creek National Battlefield, which preserves the site of the Battle of Wilson’s Creek. Nowadays, we can visit this National Park and show respect for our ancestors who lost their lives on this particular battlefield. Don’t miss going to the Ray House, the only original house which remained after the battle. If you want to taste probably the best craft beers in the US, come to the locally-owned brewery in Springfield. Mother’s Brewing Company has been brewing beer in the heart of the city since 2011. Just go downtown to South Grant and try my favourite Three Blind Mice as well as some seasonal beers like Spring Batch or Oktoberfest. As a bonus, every Saturday afternoon you can take a tour before tasting and learn more about the process of making beers. As far as Springfield Mo tourism is concerned, this town provides something for everyone. If you’re a fan of pizzas, come here to celebrate a National Pizza Day with locals. For those who enjoy hiking and biking, there is a possibility to spend the whole day following one of sixteen trails here. If you’re a winter sports fan, go at Mediacom Ice Park (Jordan Valley Ice Park) and learn how to skate or cheer on the MSU Hockey Bears during the match days. Try not to miss taking the time to visit the Missouri Sports Hall of Fame and their exhibits with more than 4,000 sports memorabilia. If you like antiques, as I do, I highly recommend you to visit Relics Antique Mall which offers vintage collectables and antiques on impressive two acres (90 000 ft2 or 8360 m2). When you get hungry, stop in the old tearoom and enjoy their made cuisine and an excellent cup of coffee or tea. If you’re looking for cheap Springfield Mo lodging, there’s no dearth of motels in Springfield Mo. And if you want luxury hotels in Springfield Mo, you’ll find plenty of options. From a Motel 6, to a Holiday Inn, and 5-star hotels in Springfield Mo, like the DoubleTree by Hilton Springfield, you’ll find a number of motels and hotels in Springfield Mo for all budgets on Booking.com. If you one of the international travellers from a country under the Visa Waiver Program who decided to visit the US for tourism in Springfield Mo, you don’t need a visa for visitors anymore. 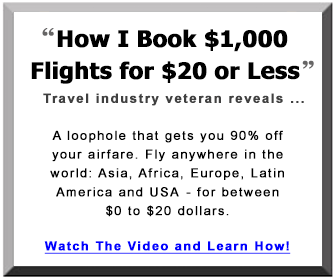 Just fill the ESTA application established by the US government on January 12, 2009, and you will get a right to spend 90 days in this beautiful country no matter of the reason for visiting. 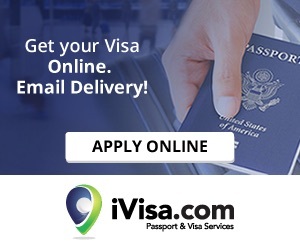 Check for the valid, digital chipped passport and credit card, add the correct contact information, and submit the ESTA form. Keep in mind that you will be adequately pre-screened and the US authorities reserve the right to require additional specific security features if needed. After passing all the necessary procedures, you can board a plane or a boat and begin your exciting American adventure. 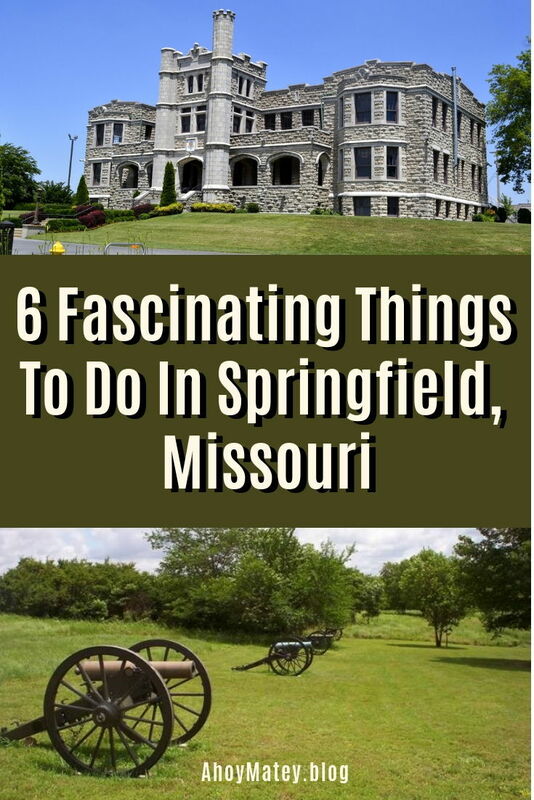 I hope this Springfield Mo travel guide will help you enjoy your Springfield Missouri sightseeing tour to the fullest during your Springfield Mo vacation. Martins Godainis loves to get lost with his camera and shoot memories. 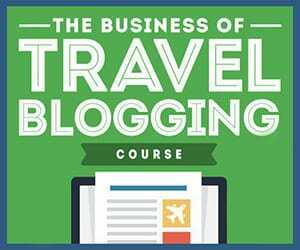 He writes about his travel experiences and hopes that his travel blogging can inspire you to travel the world and chase your own level of adventures with ease.